We have just created a profile on Spotify as a hub for all things Blind Mice with a couple of playlists to start with. Blind Mice Radio is a Playlist chosen by and featuring Blind Mice Productions artists to show what we’re digging right now and what’s inspiring us. Hear the world that makes the Blind Mice tick! Meanwhile, Blind Mice Releases contains a taste of every release we have put out. Hit shuffle and discover something new from our roster! Give these Playlists a Follow, and Follow our Spotify Profile for any other Playlists we add in the future! Regen Mag reviews SHIV-R - "Requiem for the Hyperreal"
Thanks to Regen Mag for this great shout-out for the latest SHIV-R album. Requiem for the Hyperreal is available now here. Australian electro-industrial trip-hop sirens [SNUFF] have changed their name officially to SNVFF. This represents a more google-unique (and search history-friendly) name for the duo. Check out more details in their video on Facebook. The new name accompanies new cover-art for their self-titled debut EP, and you will start to see the changes on iTunes, Spotify and all other digital outlets soon. Check out the EP now on Bandcamp! 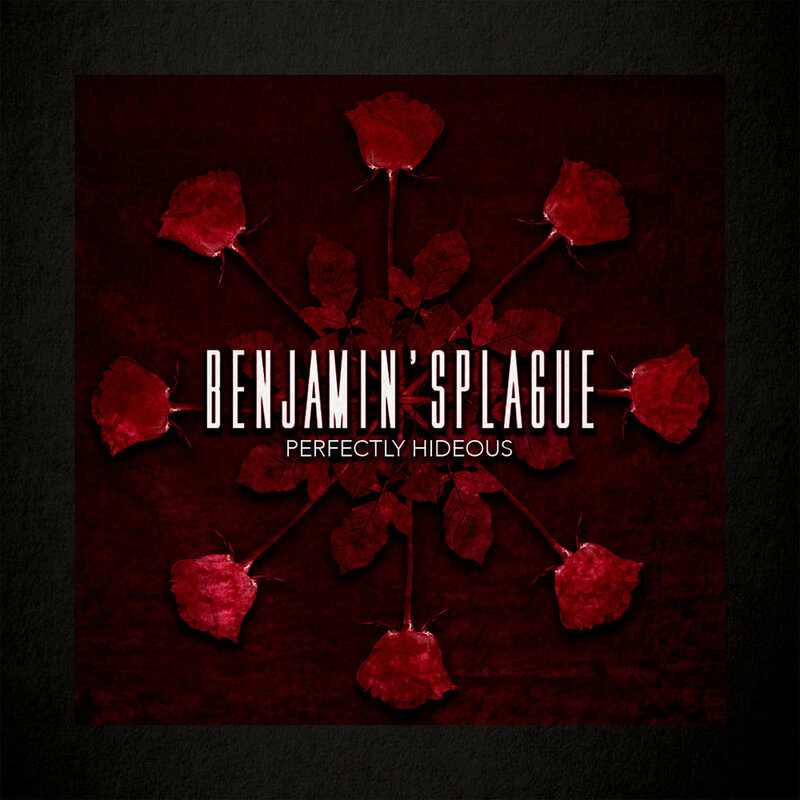 Out now: Benjamin'sPlague - "Perfectly Hideous"
The latest, and in fact final release from this incredible project is out now. While Dutch electronic melodic mastermind Benjamin Schoones will still remain very much active as a musician and producer, his project Benjamin'sPlague will no longer be. "Perfectly Hideous" is an 8-song single featuring a gorgeous collaboration with Alicia May from SNUFF, as well as a handful of killer remixes. Mastered and released by Blind Mice Productions, the single is available now from all digital outlets including Bandcamp, iTunes and Beatport. Brutal Resonance interviews SHIV-R for "Requiem for the Hyperreal"
We spoke to Brutal Resonance about our new album "Requiem for the Hyperreal", our new independent approach to releasing music and our lives over the last 3 years. The new SHIV-R single "Cheshire Grin" and lyrics video are out now and the preorder of the new album "Requiem for the Hyperreal" has just begun! For the first time we also have 12" vinyl! Pre-order the new album "Requiem for the Hyperreal" on vinyl directly from us via bandcamp! Hi all, Pete Crane here. There has been a development with our label as well as our band SHIV-R and you will see us collaborating closely with DarkTunes Music Group on some of our future releases. For a couple of years now we have been looking to solve a problem: how do we improve our marketing and extend our reach in new regions? While recognising the limitations on our own time as we put a lot of creative energy into composing for SHIV-R and making the most of our strength in production, we’ve been looking for the right relationship to help get the word about our music out there. DarkTunes Music Group is a label based in Germany run by Raphael Beck, known for his projects Extize (industrial/EBM) and Basszilla (EDM/electro-house). They are another young label like us and we both agree that while Blind Mice Productions has a great group of artists with a unique yet cohesive sound, DarkTunes does an excellent job of marketing, driven by Raph’s experience in the industry and expertise in new media. So what will this look like? For a start, the new SHIV-R album “Requiem for the Hyperreal” and single “Cheshire Grin” will be carried by DarkTunes Music Group for Europe, and by Blind Mice Productions for the rest of the world. We’ve decided to leave Infacted Recordings on very good terms in order to try this more independent, hands-on approach, and show that we can “put our money where our mouth is” by leading the charge with our own music to grow our own label. We believe in this new approach, and it feels good to be pushing Blind Mice Productions and SHIV-R in new ways. Looking forward to the future and bringing you more awesome releases! For the next 2 days you can exclusively stream the upcoming Benjamin'sPlague single at Brutal Resonance zine. Check it out here! To be released on June 1st 2017, Moris Blak's debut EP "Dead Summer" is currently available for pre-order on bandcamp, and you can stream it in the meantime exclusively at Brutal Resonance. New Review for Amelia Arsenic "Carbon Black"
Ondes Chocs have made another great review (in English and French) of one of our releases! This time for Amelia Arsenic's "Carbon Black" EP.